Obesity is one of the most pressing and controversial public health challenges. It has the distinction of being a crisis about which most people have an opinion – often based on a simple diagnosis – but for which nobody has found a correspondingly neat solution. It’s still very common to hear even clinically trained experts, as well as ordinary folk, trot out tired old certainties about a lack of willpower, or that it is a lifestyle choice for which people should take more responsibility. 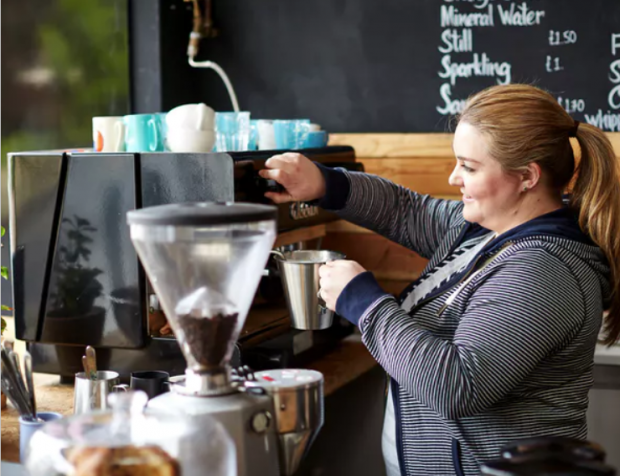 Even in some modern businesses, it seems that it’s still OK to target discriminatory practices against those living with obesity. Only recently, Pakistan International Airlines was reported to have told overweight cabin crew that they must lose weight or be grounded. “No one would like to have shabby crew in the aircraft,” a spokesperson reportedly said in mitigation. So is it time to get tougher on obese or overweight workers and the “burden” they have become, or would a more empathetic and supportive approach work better? In England, 60% of men and 50% women are overweight or obese. A quarter of men and women are obese and this has been increasing over the last 30 years. For comparison, in 1980 only 7% of adults were obese. In 2014-2015, treating obesity and its consequences cost the NHS in England £5.1 billion. Dame Carol Black’s review into the impact on employment outcomes of drug or alcohol addiction, and obesity – to which I was an adviser – found there are many social determinants of obesity. A major review by the World Health Organisation found that over 33% of those not in work, and those who are either obese or severely obese, were from the most deprived areas. This means that obese people in lower socioeconomic groups are getting heavier at a faster rate than people in higher socioeconomic groups. This is illustrated in the graph below from France where, between 1997 and 2012, the lowest income group became obese more than three times faster than those in the two highest income groups. Obesity in the workforce is something we still hear less about, but which is also increasing. Public Health England estimates that up to a third of working people are obese and that there are 16 million days of sickness absence each year due to obesity. The cost of lost productivity in the US attributable to obesity has been estimated at $15.1 billion. Shift workers also have an elevated risk of obesity too. What is clear is that negative stereotypes about obese people at work persist. They are often seen as lazy, lacking in self-discipline, less competent, less conscientious and unmotivated. Obese workers often have lower starting pay and less hiring success – 45% of employers say they are less inclined to recruit obese candidates. They are less likely to be regarded as able leaders or to have career potential, are more likely to experience bullying and harassment, and obese women are less likely to get customer-facing jobs. One study on employment discrimination found the more overweight a person is, the more the likely they are to report discrimination in the workplace. Overweight workers were 12 times more likely, obese respondents were 37 times more likely, and severely obese respondents were 100 times more likely than normal weight respondents to report employment discrimination. Women are also 16 times more likely to report weight related employment discrimination than men. This is because parts of our service sector have an “aesthetic labour” market where body image and grooming are at least as important as competence. The relationship between obesity and mental health is also important. One study found that discrimination on the basis of weight explains much of the link between obesity and psychological well-being and there is clear evidence that anti-psychotic drugs and obesity are linked. Despite all this complexity, for some it’s still easier to blame the obese. In Europe, the law is catching up with the need to make sure that employers understand that functional impairment – such as reduced mobility – resulting from extreme obesity can be considered as coming under the scope of equalities legislation as a “protected characteristic” and require workplace adjustments to be made. This at least points the way towards supportive rather than punitive approaches in workplaces. Offering support is not about absolution but it is about helping people living and working with obesity and overweight to take more control and to make changes to their diets and lifestyles which gradually rebuild self-esteem and agency. Workplaces can be great arenas within which this support can be offered without prejudice and where small successes can be built upon. I’m old-fashioned enough to believe that kindness and empathy are, in the end, more powerful forces than derision and contempt. Let’s give them a try.